As the seasons change where I live in the northeastern United States, and the days are darker longer, I turn to Persephone for assistance during the transition to winter. Part of the “Queen of the Underworld’s” responsibilities, once she descends into Hades each autumn, is the role of psychopomp–a guide for new souls crossing over; she ensures they arrive safely. Now, I’m not going to the Underworld! But I certainly could use some divine guidance for navigating these darker, colder days. So, like the women of ancient Sicily during the 5th to 3rd centuries B.C. 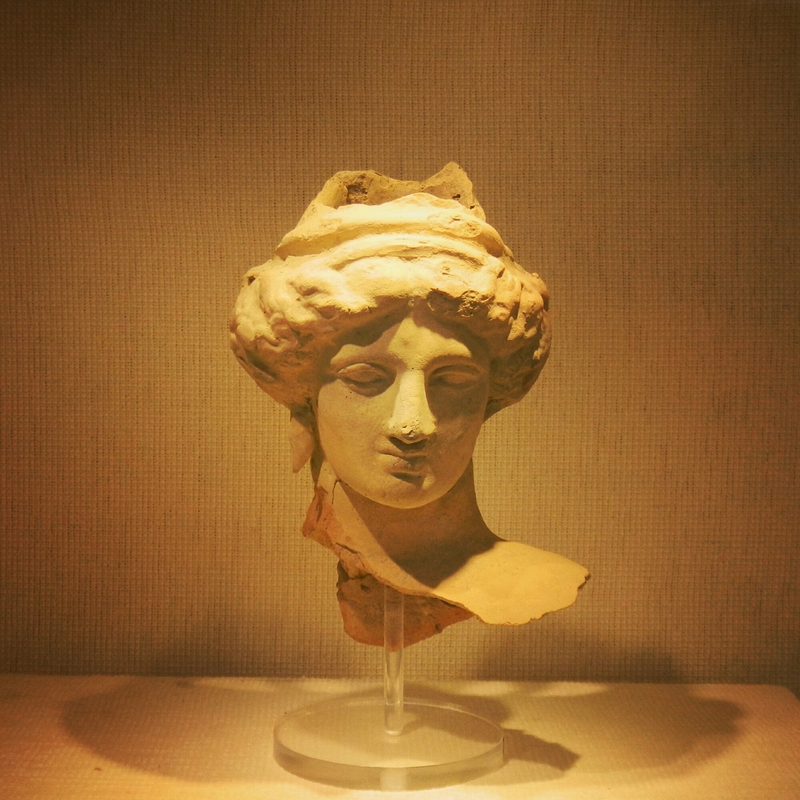 (from when this clay bust from the archaeological museum at Aidone in the Province of Enna was created), I am asking Kore/Persephone, for assistance for a smooth passage through this season.